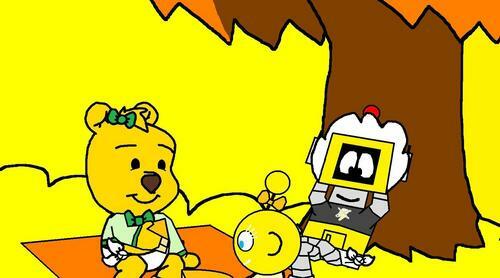 bayi Pooh, Plex and Lottie in Forever Young. bayi Pooh, Plex and Lottie are for Ariel and Eric.. HD Wallpaper and background images in the winnie the pooh club tagged: babies winnie the pooh plex lottie forever young ariel and eric disney character yellow. This winnie the pooh fan art contains anime, komik, manga, and kartun.